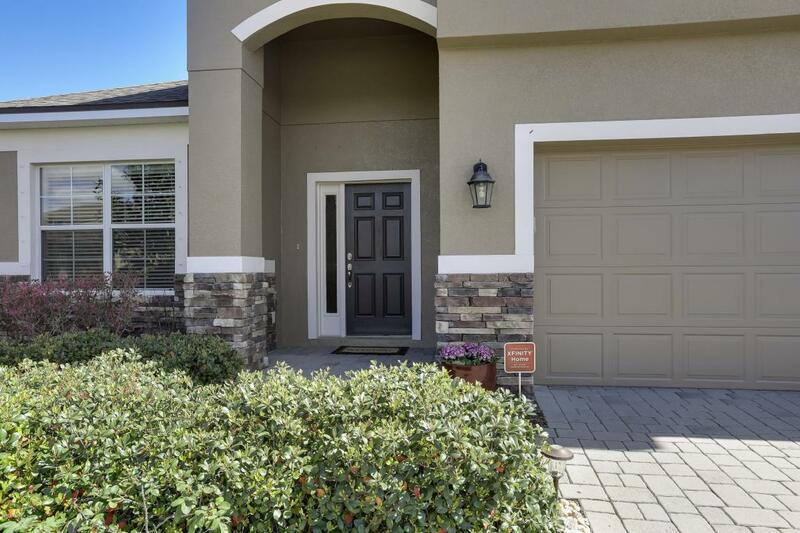 Welcome home to this beautifully maintained concrete block home in the desirable Las Calinas where there are no CDD fees. This almost new two story home has fresh paint on the exterior. The back yard backs up to a preserve so you will have plenty of privacy as you sip your morning coffee. 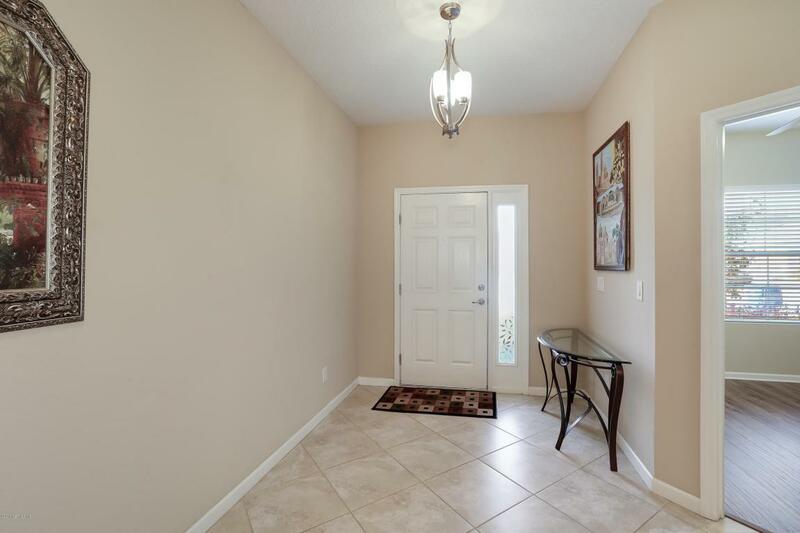 There is new wood laminate floors in the study and new carpet in the bedrooms and bonus room along with a sharp looking staircase with a mix of wood and carpet. 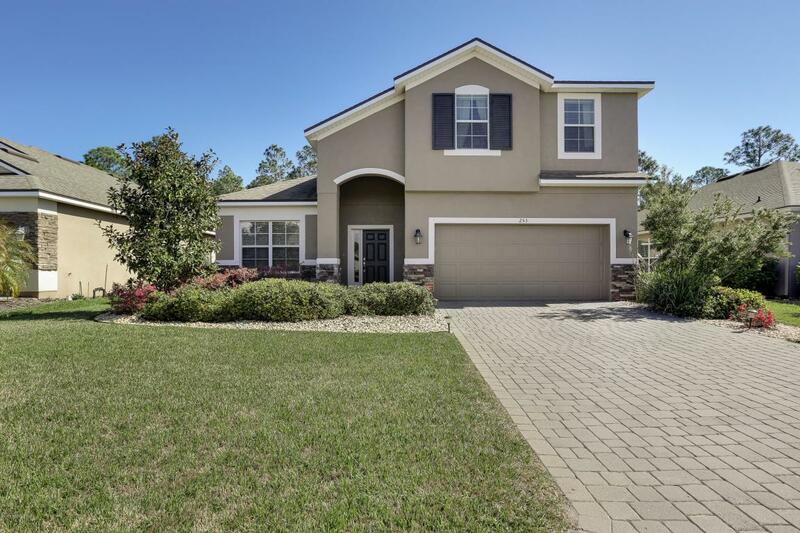 What a smart floor plan this home has with 4 bedrooms, 2.5 baths, an office and a bonus room! The kitchen is gorgeously appointed with dark cabinets, granite counters, a crisp back splash and stainless appliances. The three sliders at the back of the house open up all the way onto the large lanai. The large downstairs master bedroom iscomplete with custom closets, a garden tub, and a separate shower. 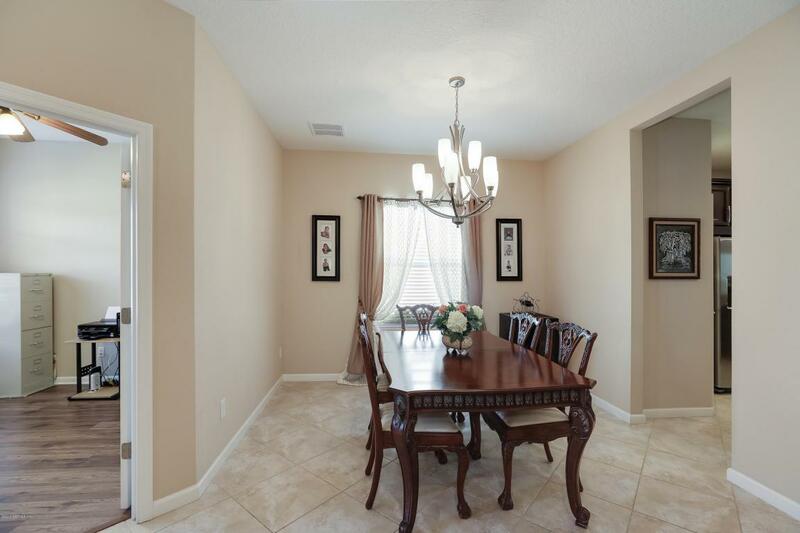 Enjoy gatherings in this open floor plan with room in the spacious dining room, kitchen, family room and breakfast area. Bring your kayak or canoe and plan to enjoy the new Kayak launch within walking distance to your new home. There is lots to love in this home and neighborhood!